Shake for 5-6 seconds before use - you'll want to make sure the crystals are evenly dispersed in the glaze before applying. Apply 3 smooth, even coats to properly fired shelf cone 04 bisque using a soft brush, such as a CB-604 #4 Soft Fan Brush. Try to get the brush fully saturated (loaded) and apply alternate coats in a perpendictular direction to the previous coat (helps to evenly distribute the crystals on your surface). Fire to shelf cone 06. Q: Your label states that Astro Gems™ are "Food Safe", yet you also include the statement "May not be suitable for food surfaces due to surface characteristics"? A: Food Safety is determined by standards established by the Food and Drug Administration (FDA). ASTM method C-738 and C-927-80 are "leach tests"; the tests involve measuring the chemical composition of an acidic food before exposure to a glazed surface and the chemical composition after a several days. If the levels of glaze materials found in the food are below the established limits, the glaze can be marketed as "Food Safe." Glazes that create dimensional surfaces also create crevices and nooks that can trap food - even after washing. This food can develop bacterial growth and cause health issues. Our policy is to discourage the use of textural glazes on ware that is intended for food usage even though the glaze has met all food safety criteria. Q: How can I create custom colors? 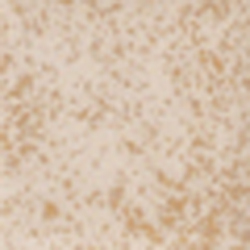 A: AS-510 White Opal Astro Gem can be tinted using Mayco One Strokes or Mayco Underglazes. You may find success mixing stains - always conduct small tests before using on a wider scale. Q: What firing and application tips can you provide? A: Astro Gems™ behave much like an underglaze: they remain porous after firing, they do not have to be stilted, etc. However, if crystals are applied to the bottom of a piece they WILL need to be stilted. We recommend that you do not apply crystals to the bottom of a piece as the fired crystals may scratch and mar table tops and other household surfaces. Either apply unstirred Astro Gems™ to the bottom of your piece (leaving the crystals settled-out on the bottom of the jar) or wipe them away while the glaze is still wet. Avoid heavy application in recessed areas of detailed pieces. Any puddles should be brushed out before the glaze dries. When applying these glazes to bisque allow for more drying time between coats. Q: How can the fired surface of Astro Gems™ be protected or sealed? A: Astro Gems™ can be treated with AC-301 Repellent Sealer when the project is completed.